Russians can be a bleak, bleak people. Not always, of course; just like any other culture, they can be warm and optimistic as well, but Russians do bleak very well in their fiction. 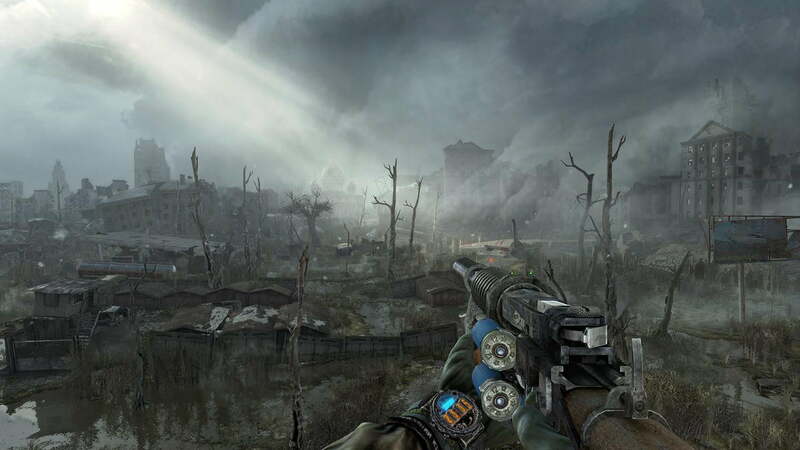 Just look at the pervasive sense of gloom in Metro 2033 and its newly released follow-up, Metro: Last Light, both based on the universe created by Russian author Dmitry Glukhovsky. 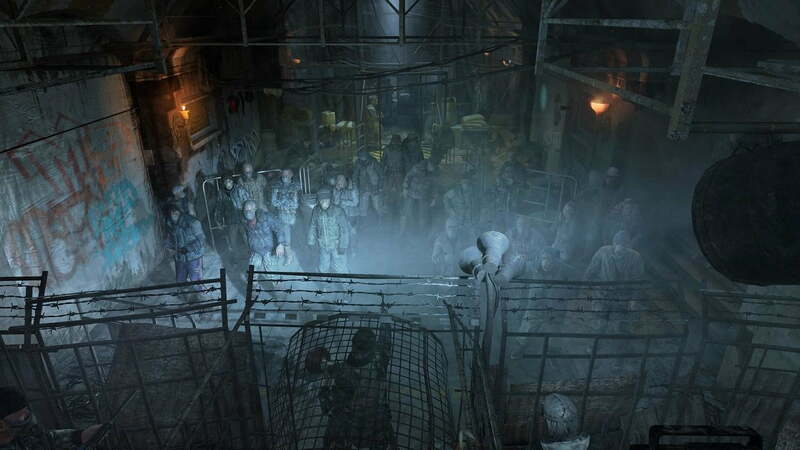 Post-apocalyptic settings aren’t new to video games, but few delve into the darkness of the end times scenario quite like Metro. In franchises like Fallout or id Software’s Rage, the world is your playground. Life as people knew it is over, and a harsh existence is now in its place. In Metro, the world’s end is an ongoing process, and your play is wrapped around humanity’s fierce fight to hang on. It’s a losing battle too. In that, the series’ two games are unlike most other mainstream releases. 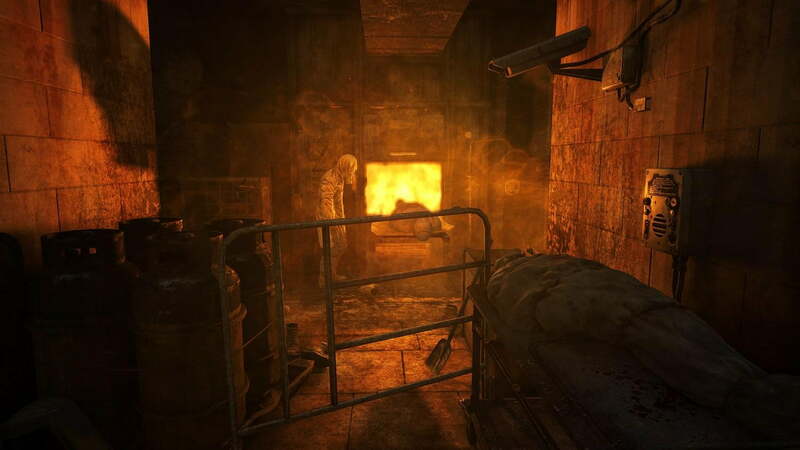 The first game, Metro 2033, offered a fresh look at a dystopian future in which Russian survivors of a nuclear apocalypse managed to carve out a new existence in below-ground subway tunnels. It had a few problems, technically and conceptually, but the finished work delivered an original story and a few gameplay tricks no one had seen before. It was and still is a divisive game, with some people liking the setting and the world, while others noted that it lacked punch. Where the previous game took awhile to get going, Last Light throws you right in. This is a more mature and sophisticated story, though it’s one that admittedly makes some compromises in the service of delivering a better game. Surface radiation is used more as a plot contrivance than as the ever-present specter of death in real life. You never get hungry or thirsty either, despite the realistic difficulties this would cause. Faulty and often simple-minded enemy AI also breaks the tension at times. The game is exceedingly linear, which is fine for the story but curtails the game’s length. Yet it all works. If you enjoyed the previous game you will find the changes to be minor, but for the best. Settings are more colorful and feature more variety, graphics are greatly improved (especially on PC), and the story is deeper and arguably more coherent than it was before. The differences between Last Light and 2033 are ultimately minor, however. You don’t necessarily need to play one to enjoy the other, but the story feels much more complete if you have, so it is recommended. The world of Metro is not a happy place. Nuclear winter dominates the Earth, and a handful of isolated humans try to survive in the remnants of the subway system beneath the ruins of a poisoned Moscow. There is no promise of a better tomorrow, and you won’t find many wacky or comedic off-kilter characters livening things up as you do in most post-apocalyptic games. Every day is a struggle, and the harsh realities of this deadly world are now taken for granted as people try to adapt. The threats come from inside as well as out, with in-fighting responsible for almost as many deaths as the mutants that are now vying for control of the planet. The world of Metro is a dark reflection of our own. It is humanity at its best as our ingenuity shines through, but also at our worst as the denizens of the former subway system fight over diminishing resources. It is fantastic and yet familiar, twisted and yet understandable. 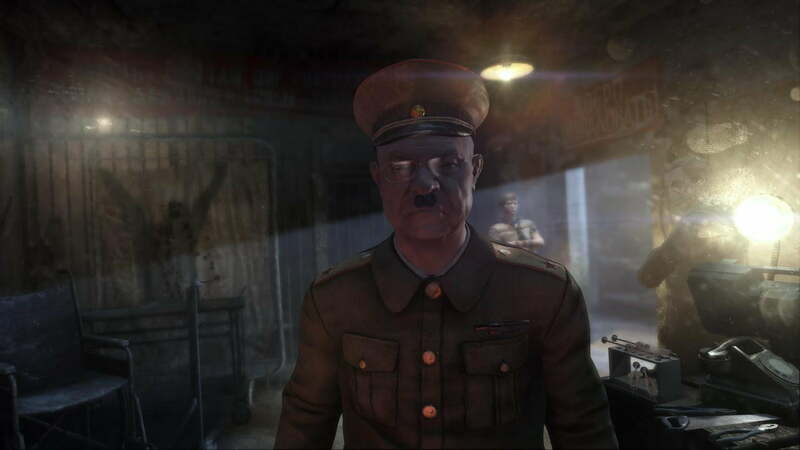 The threat of war presented in Metro: Last Light is more horrifying than just the possibility of a loss of life, it brings forth the very real possibility of extinction. Then it makes you wonder if maybe we deserve it. The nuclear fallout gave rise to an assortment of evolutionary adaptations in the animal kingdom that allow the living world to thrive in the desolate wasteland. In the darkness too, hiding in the miles of uncharted tunnels beneath the ruins of Moscow. All of these creatures attack humans without mercy. Then there are the Dark Ones, whose continued existence threatens to make our own obsolete. The story plays out like a well paced novel, with pieces introduced in 2033 finally coming to fruition in this game. You play once again as Artyom: a young man who still remembers what it was like before the fires destroyed our world, but who is now very much a native of the Metro. He possesses a unique ability. Most people experience convulsions, pain, hallucinations, and even madness in the presence of a Dark One, Artyom alone is immune. Metro-dwelling survivors see the Dark Ones as monsters that must be destroyed, but there’s a deeper truth here. 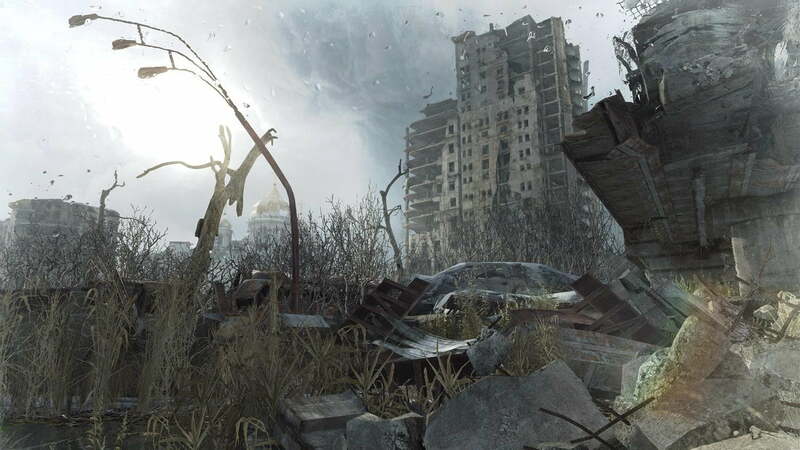 Artyom’s immunity is crucial to the story in both games, but the payoff and explanation for why was saved for Last Light. 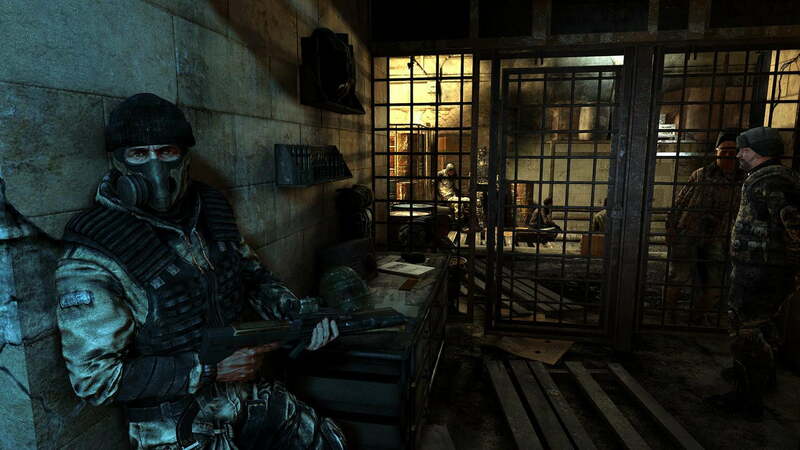 The second game picks up one year after the end of Metro 2033. Artyom’s abilities earn him the task of investigating a Dark One sighting, but he soon finds himself caught in the middle of a looming war. The Metro survivors live in factional enclaves. Most try to coexist, but a few look to expand and dominate. The two most powerful of these groups are the Nazis, who believe that genetic purity must be maintained in the face of the post-world mutations, and the communist Reds, who want to bring their own form of order to the Metro. The story in Last Light is motivated by the teetering threat of war that could end all remaining human life, as well as the mystery of the Dark Ones. 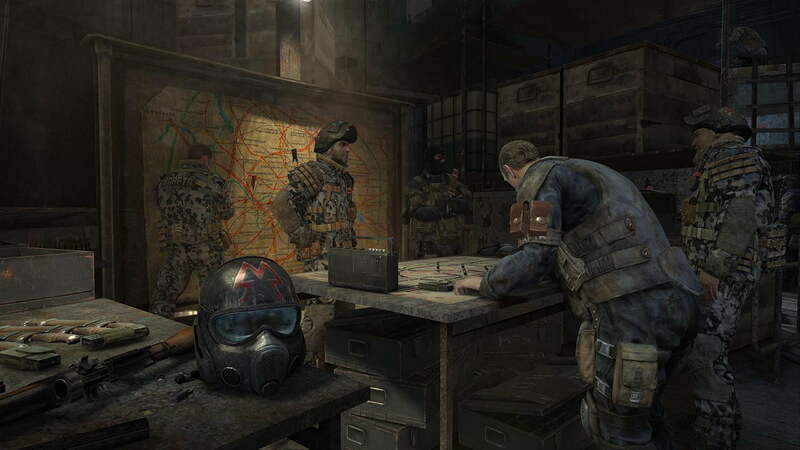 Both plot threads began in the previous game, and both continue to develop as Artyom moves through the dismal reality of the Metro. He visits a varied mix of creatively designed environments, including an underground theater built beneath the remains of the Bolshoi, a post-apocalyptic Red Square, and a Russian Metro underground take on the city of Venice. The stylish and demented art design is a demonstrable improvement over the previous game; better lighting and smoke effects only add to the unique look and feel of every new location. The story plays out like a well paced novel, with pieces introduced in 2033 finally coming to fruition in this game. Some of those dangling plot threads were a major complaint for many in the first game, but now we see that the developers actually had a bigger plan at work. As far as the play goes, Last Light stands perfectly well on its own. Full appreciation for the story, on the other hand, requires some knowledge of what happens in 2033. Taking the two games together as a singular narrative, the pacing is exceptional. Where the previous game took awhile to get going, Last Light throws you right in. Very little time is spent highlighting the world at the start. A brief mission sets the plot in motion and acts as a light introduction to the gameplay mechanics, and then you are in the thick of it. You quickly meet the story’s major players, and the writing is sharp enough to give you everything you need to know as succinctly as possible. When you meet the Nazis, for example, you take an unintended tour through their nightmare vision of the future. Within a few minutes you know all you need to know about them. It is a bit heavy handed, but it works for the overall narrative. The characters you meet along the way are also well realized, at least for an entertainment medium where you oftentimes have just minutes to connect with them. Characters like Pavel, the Red you meet and form a lasting partnership with early on, and Kahn, the shamanic hunter, all have distinct and individual personalities. It all leads to a suitably compelling finale, one in which the plots of both Metro games are wrapped up while still leaving room for the franchise to grow – which it hopefully will. There are two distinct ways to play Last Light: You can approach it like a standard FPS or a stealth game. Playing on normal difficulty makes this more of a personal choice than anything. The game is very much about scavenging and survival, but hoarding your military-grade bullets (the in-game currency), combined with looting dead bodies, should leave you with more than enough ammo to shoot your way through if you want. There are a few moments when a focus on resource management makes for tense gameplay, but you are generally able to choose you own path. Playing through on “Ranger Mode,” however, makes for a different experience. A normal playthrough will take you around 10 hours to complete. With no multiplayer content shoehorned in (thankfully) and a lack of any real side quests, the question of value has to be considered. 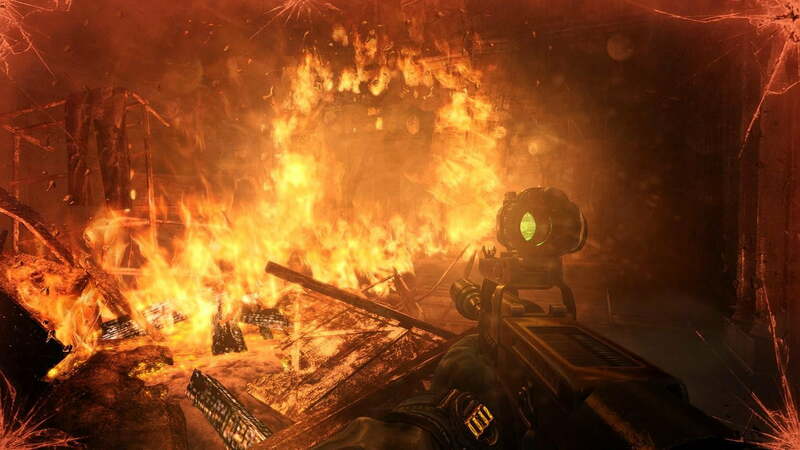 Metro: Last Light is a very good game. It is original, and the narrative that spans the two games is a highlight in storytelling for the medium. That said, $60 isn’t a lot for 10 hours of play and nothing more. This is where Ranger Mode comes in, and where the game earns some knocks. If you pre-order the game, you’ll get the “Limited Edition” that includes the Ranger Mode (as well as 100 military-grade bullets). If you buy it afterward launch, or buy it used, you will need to pay $5 for the Ranger Mode. Sure, $5 isn’t a huge amount, but those who don’t bother to pre-pay are effectively expected to pay more for a mode that should be in the game to begin with. BioShock Infinite didn’t block its similar 1999 mode. Why is Ranger Mode any different? Putting that aside, arguably the best way to approach Last Light is to play through it the first time as a standard shooter, then play through Ranger Mode utilizing stealth. If you can stomach the idea of spending more without a pre-order, that is. Ranger Mode is a different way to play, and it changes the dynamic. You have less ammo, and you must rely on visual identifiers on the gun itself to know how much ammo is left in a clip. Enemies also do more damage, there’s no HUD, and the world is generally more vicious. The mode forces you to think through your scenarios and take more of a measured approach. This creates more tension and, in turn, leads to a better game in some ways. The story is still the focus though, and that doesn’t change, so the way you play comes down to personal preference. Ideally, both styles should be played to get the most out of the game, as they each offer a slightly different experience both in terms of play. There’s also something to be said for a repeat playthrough with different choices and more of a non-lethal approach for those who want to see the possible variations on the endgame. Whether you play through as a combat-first game or by using stealth, the AI is questionable. Average at the best of times and downright dim-witted at the worst. You can be standing right in front of an enemy in a slightly darkened area, and they won’t acknowledge you are there unless they shine their flashlight directly in your face. Being able to sneak up on someone in front of them is doing stealth wrong. The AI isn’t terrible, but it just has obvious and easily exploitable blind spots that feel dumb. In combat, fighting mutants is far more unpredictable than fighting humans. You can avoid the ugly creatures at various points, but they are fast-moving and even wily at times in open combat. Human AI, on the other hand, embraces a herd mentality. Set them off, camp yourself at the top of a stairwell, and let them choke point their way into your waiting knife, one at a time, like lemmings to a cliff. 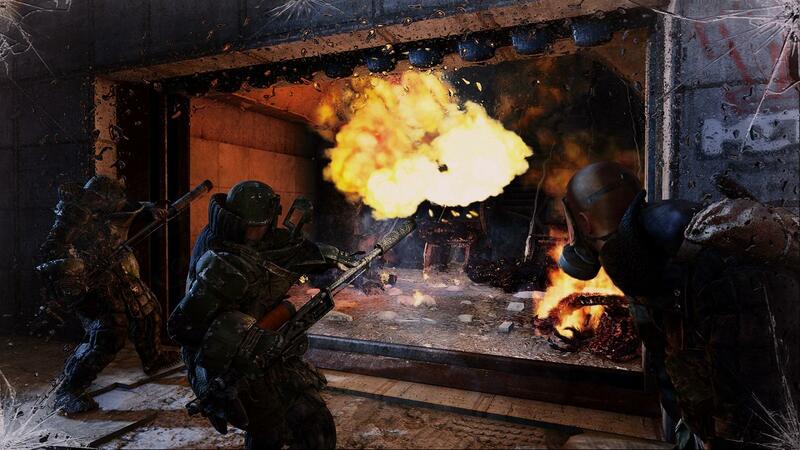 Metro: Last Light is a masterful story, artfully told. It does suffer a bit in terms of replay value because of that, but Ranger Mode and taking a different approach to your play enhances the overall experience and ensures that you get your money’s worth. Even with the somewhat simple-minded AI, the combat offers some good moments. It isn’t the highlight though. 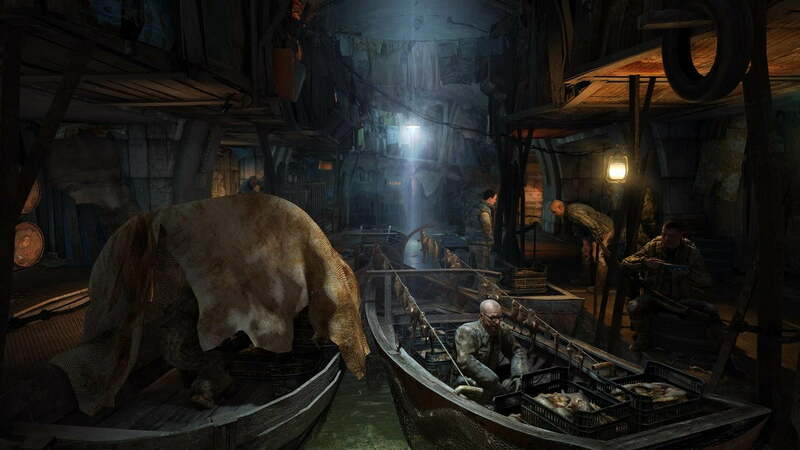 Metro: Last Light is a novel that you play, and it’s a bleak and oppressive one at that. This is a mature story, expertly crafted with a fluid pace that sets you up and keeps you engaged. 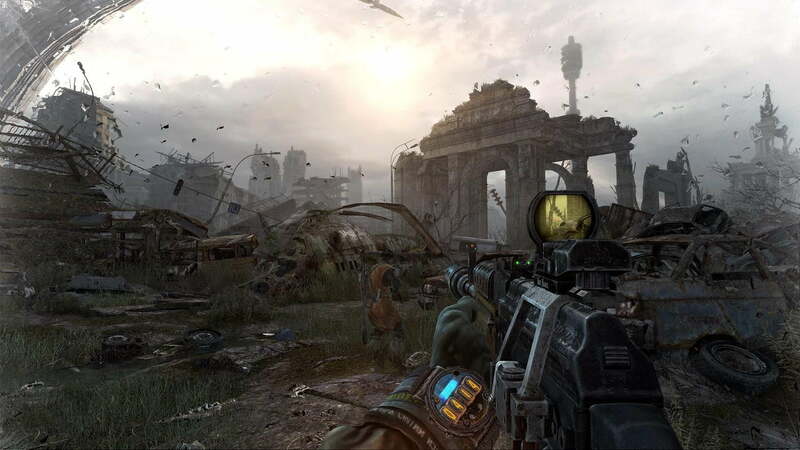 There are other titles with similar qualities, but Metro: Last Light is a unique game and one that should be experienced.